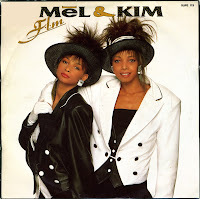 There are rumours that a new Mel & Kim release is on its way. Although many compilation albums have already seen the light of day, there are still tracks out there that have only been released on vinyl. I'm not sure if any of the tracks on this 12" single are still unreleased on CD, though. Almost every Mel & Kim track has been remixed to death - especially the singles of course. F.L.M. 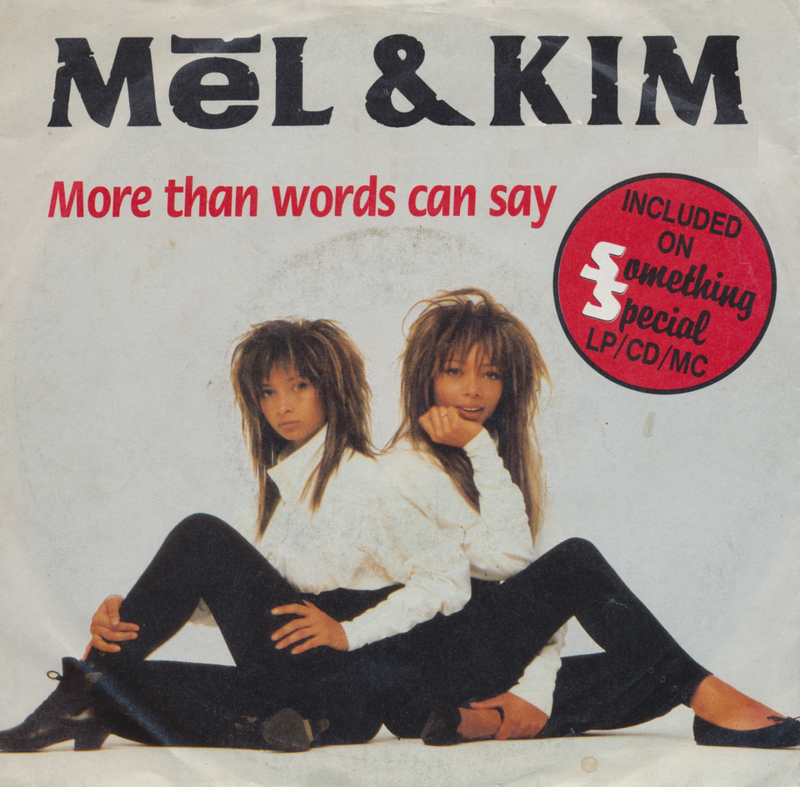 was the third single from their debut album of the same name, and in Germany it came in a special multicoloured vinyl version. 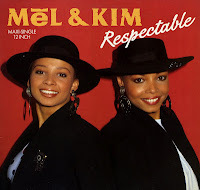 'Respectable' was only the second single of the duo Mel & Kim Appleby, but they were quickly becoming a phenomenon. The single reached number 1 in various countries including their native England, and a variety of formats was released to keep the fans buying products. 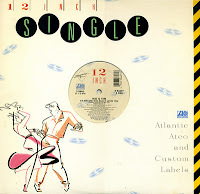 The 12" single appeared in different sleeves, although it appears that the black & white sleeve (pictured above) was the only one used in the UK - not counting a limited picture disc edition of course. 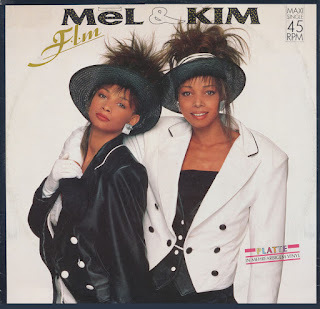 I bought both versions on one day, just last month, realising that I have a lot of Mel & Kim discs already but these were still missing. 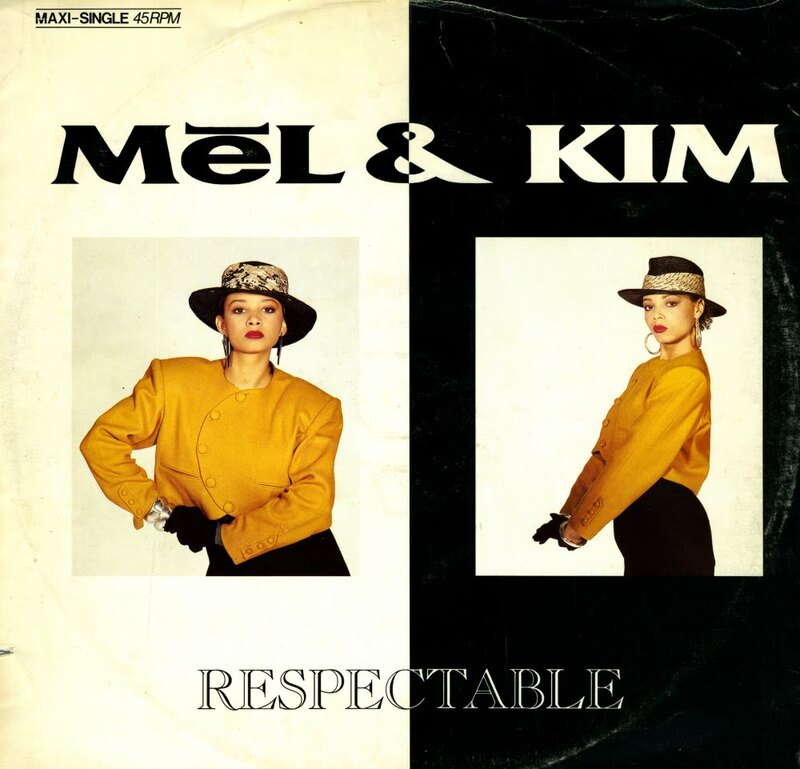 Both 12" singles I own feature the same set of remixes, of which the extended version starts in a particularly loud and slightly annoying way. 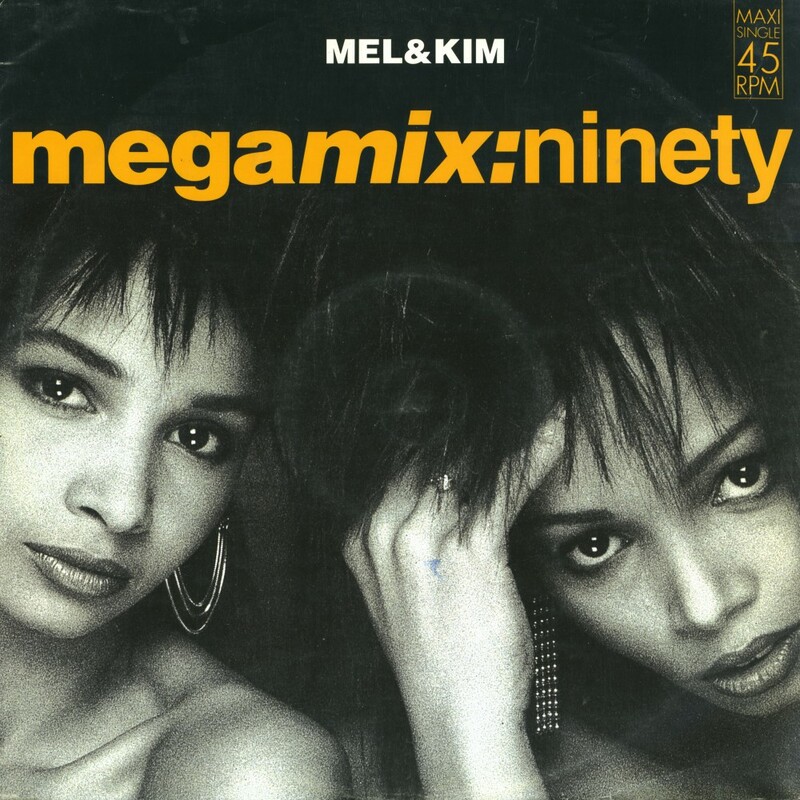 As always with Stock/Aitken/Waterman productions: when you've heard one remix you pretty much have heard them all. If you've seen this previous post, you'll think I've written about this 12" single before. While the sleeve is similar, the track listing is different. Also, the country of origin is different: this version was made in Germany, while the previous one was issued in the UK. The track listing adds one track, i.e. the 'Mortgage mix' of 'Showing out'. Most remixes of 'Showing out' are pretty similar, and this one is just one of them. 'Showing out' was one of the top dance tracks of 1986 and the first of two number one hits in the Netherlands. 'I'm the one who really loves you' was originally recorded by British singer Austin Howard in 1986. 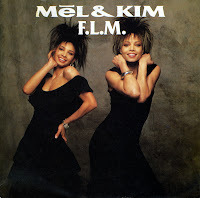 The track was written and produced by Stock/Aitken/Waterman, who also recorded the track with Mel & Kim a year later for their debut album 'F.L.M.'. Although never released as a single in Europe where the duo celebrated their biggest successes, the track was remixed by Civilles & Cole and released on 7" and 12" in the USA. I bought the import 12" when it was just released. Mel & Kim Appleby debuted in 1986 with 'Showing out (Get Fresh at the weekend)'. 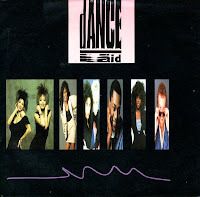 The Stock/Aitken/Waterman production was an immediate success and reached number 1 in various European countries. 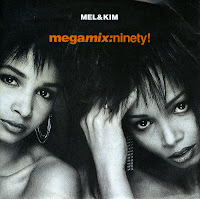 This 12" single, released at the time, features an extended remix of the track, as well as a remix of 'System', a track that was originally planned as an A-side, but set aside when 'Showing out' was deemed to be a better track. 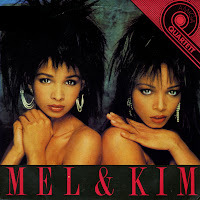 The sleeve was, as with all Mel & Kim releases, another strong argument for buying this record. The excellent remastered and expanded edition of Mel & Kim's only album, 'F.L.M.' by Cherry Pop, released last year, collected a lot of remixes of their singles, but these 'acid' remixes of their last hit single 'That's the way it is' were omitted. Stylistically they're very different from most of the remixes on that package, so that could be an explanation for this, but it's also possible that they couldn't be found in the archives. They're probably never going to be released on cd, so enjoy these rare gems while you can. The 'Amiga Quartett' was a series of four track ep's released in the German Democratic Republic, the Eastern part of Germany that existed until the end of the Eighties, featuring tracks from a certain artist or band. 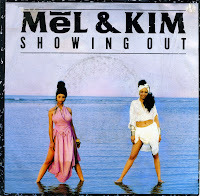 In this installment, the ep is filled with four tracks by Mel & Kim. They were enjoying a lot of success in Europe with 'Showing out' and 'Respectable' at the time. The state-controlled record company picked four tracks from their debut album to release them on this ep. What's remarkable about this ep is the rather butchered version of 'Showing out'. It is edited in a different way than usual, taking rather random passages from the album version of the track and glueing them together, sometimes audibly wrong. 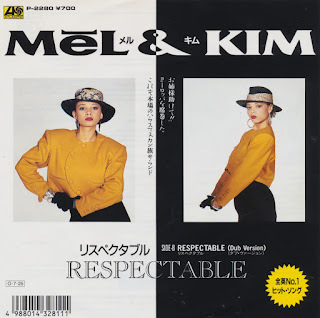 At the time of release of Mel & Kim's third single, during a promotional visit to Japan in June 1987, Mel Appleby became ill with a suspected spinal disc herniation, after complaining of a back problem for several months. 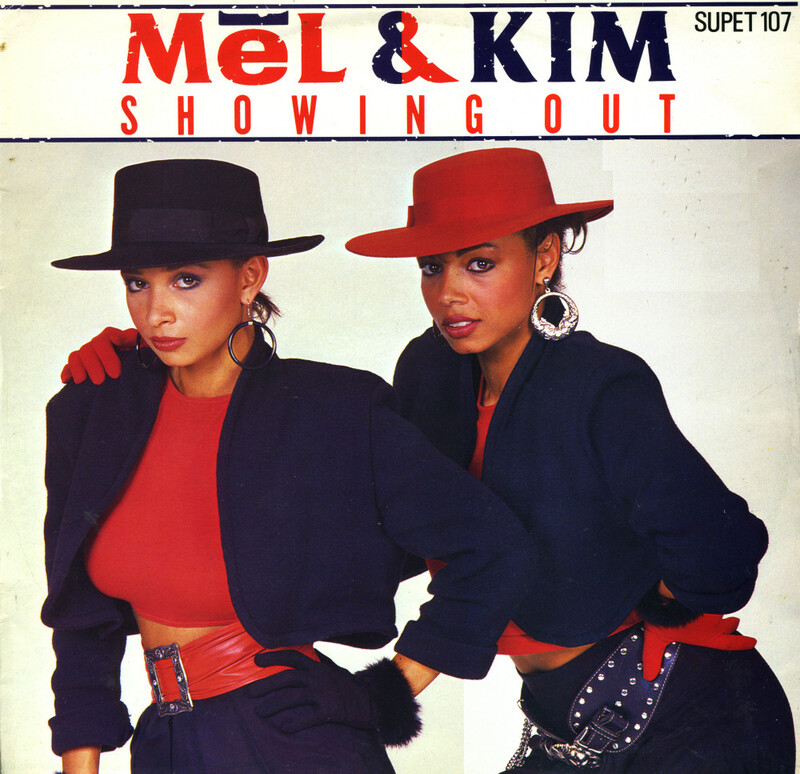 Upon returning to the UK, Mel was diagnosed with secondary cancer of the spine, after previously being treated for liver cancer when she was 18, prior to the duo's rise to fame. 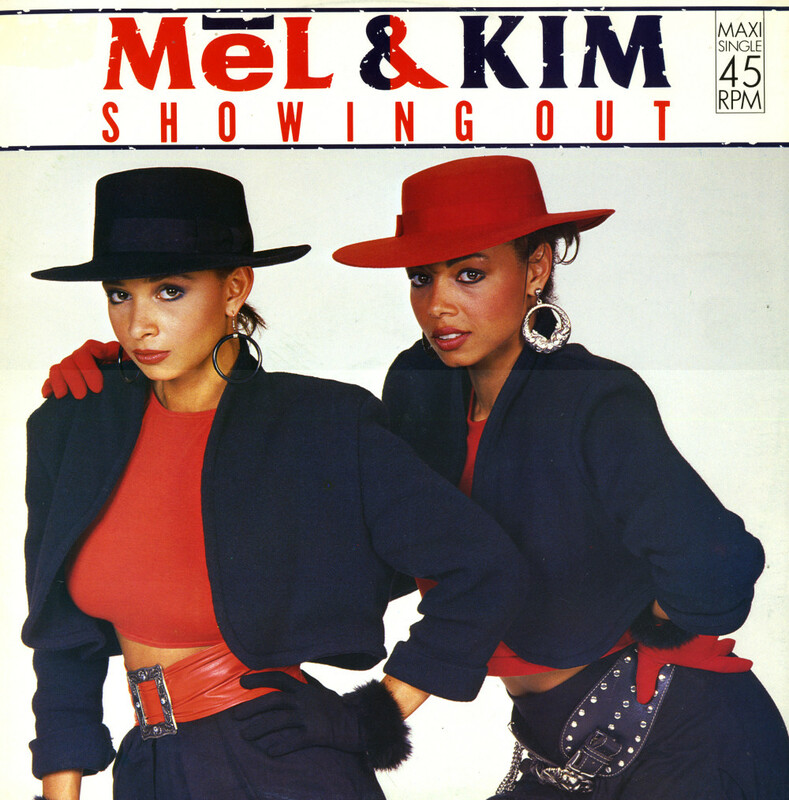 The sisters withdrew from publicity while Mel underwent treatment, and footage from their Montreux Festival performance was used to compile the music video for 'F.L.M.'. While the media speculated that Mel was terminally ill, both sisters categorically denied this, stating that Mel had suffered a debilitating back injury. 'F.L.M. ', meanwhile, rose to number 7 in the UK singles chart, and peaked at number 10 in the Netherlands. 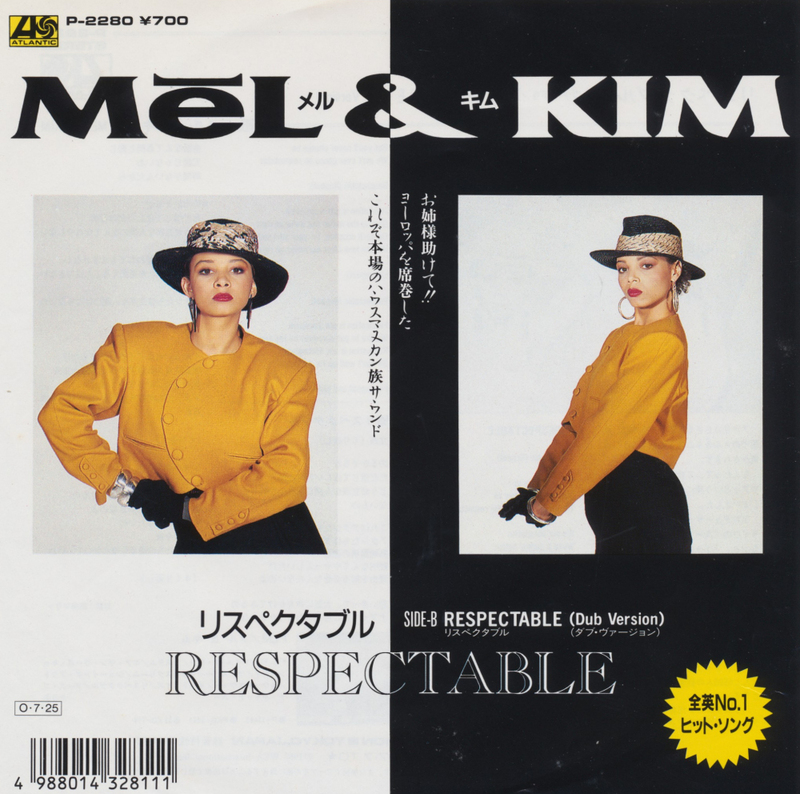 The single was released in two different sleeves: the European sleeve (pictured above) being different from the one released in the UK (pictured below). 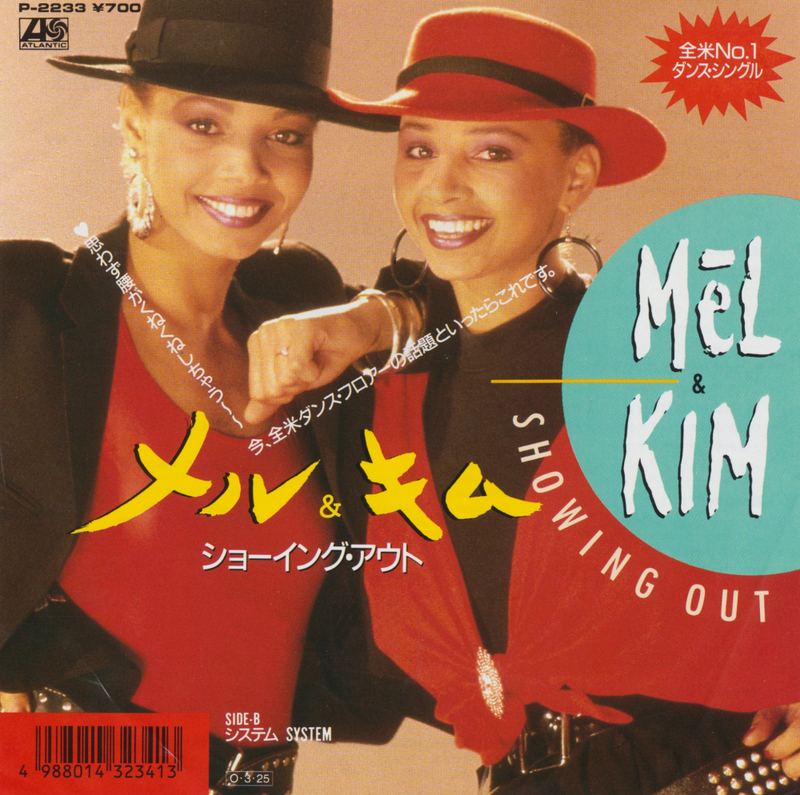 'Showing out' was the debut single of the sisters Mel and Kim Appleby. 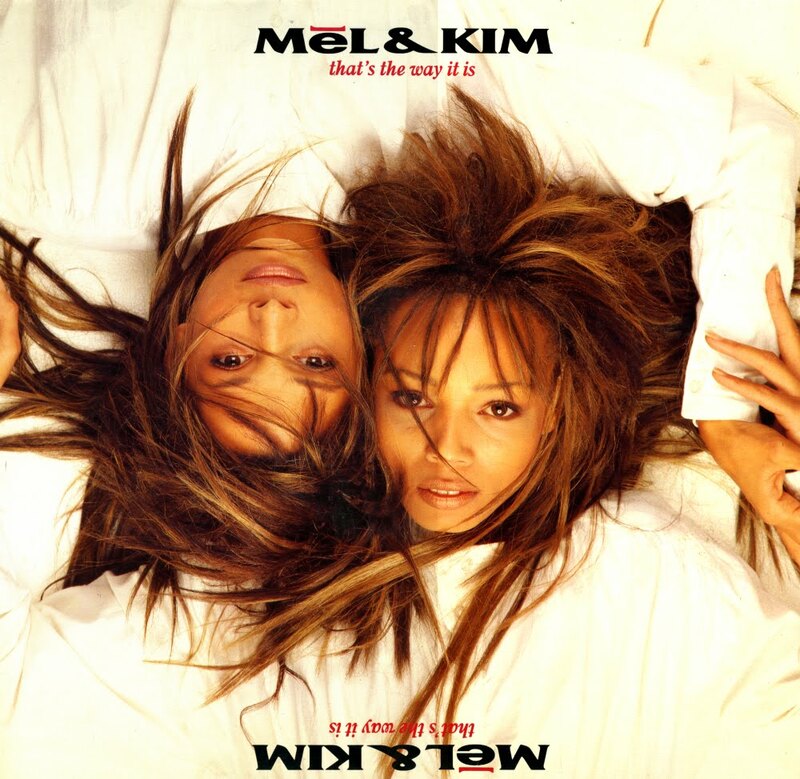 Originally the song was supposed to be the B-side of 'System', but ultimately the sides were flipped, and 'Showing out' became the smash hit single which is still a wellknown track even now. The single reached number 1 in the Netherlands, Germany and Switzerland, and peaked at number 3 in the UK. The single was released in two different sleeves, both of which I own. The UK sleeve (pictured above) was the first one I bought, during a holiday in London. A few years later I bought the original sleeve, released in Europe (pictured below). This single launched a short, but very successful career. 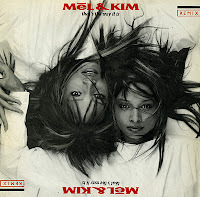 The British sisters Mel and Kim Appleby, born to English and Jamaican parents, were noticed while they were dancing in a nightclub in London, signed to Supreme records and put under the guidance and supervision of the production team Stock Aitken & Waterman. It was the start of a short but very successful career, starting in September 1986 with their debut single 'Showing out (Get Fresh at the weekend)'. 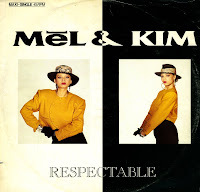 The second single, 'Respectable', was an even bigger success in the UK, reaching no. 1 in the spring of 1987. I bought this single twice. The first copy I bought quickly after its release, the second copy six years later. It was a German limited edition in red vinyl, which was a great find. I never saw this item before or since.